The Boss man is primed to succeed – competitive, driven & ambitious. His daily preparation rituals are integral to his personal quest for success and Boss Bottled has become an established part of his daily armour. 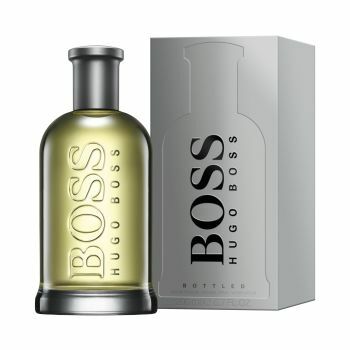 Boss Bottled is the encapsulation of Boss in a fragrance. Confident and contemporary: clean lines make Boss Bottled an iconic classic. Combining elegance and style, it was designed with the modern man in mind. Vibrant with fresh and sensuous notes, the fragrance exudes distinction, sophistication and pure joie de vivre. Balancing with a fresh and fruity top note, the warm, spicy-floral heart is dominated by geraniums and seasoned with just a dab of clove. The base note is decidedly male, a vibrating harmony of sandalwood, cedar and vetiver.